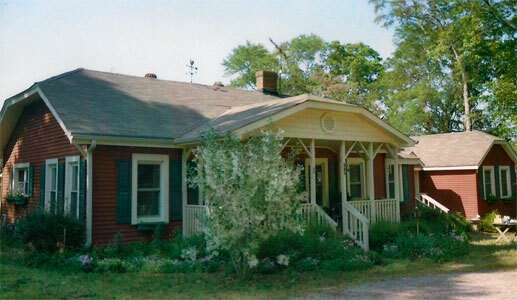 The Chicken Coop Bed 'n Breakfast, a quaint cottage with two guest rooms and private baths and 1 guest room sharing a bath with innkeepers, is conveniently located just a short distance from Athens. Historical sites of Oglethorpe County, antique shops, eateries (including an eclectic restaurant) are nearby. The cottage has a private entrance, a fully equipped kitchen and spacious living room with cable tv. We also have free wi-fi. There are numerious seating areas and swings on the grounds so that our guests can relax and enjoy the peaceful surroundings. Comfort and hospitality make The Chicken Coop B&B the place to roost. If you are in town for weddings, reunions, graduations, sporting events, etc., consider staying with us. Once you have been to The Chicken Coop B&B, you will want to return. "It is our prayer that you will feel peace and love of Jesus Christ as you visit The Chicken Coop Bed 'n Breakfast. We would be privileged to serve you."